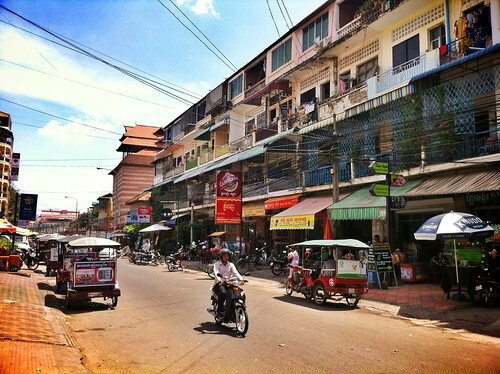 Sihanoukville (also known as Kampong Saom) is a coastal city located on a small peninsula along the coast of the Gulf of Thailand. A booming port city but the main reason for the tourists arriving here are the beaches - Cambodia's most popular beach destination. 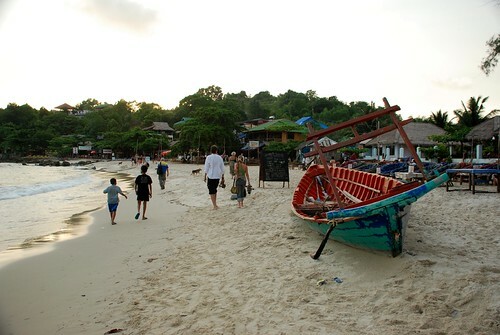 Compared to Thailand, the beaches in Shihanoukville have more a relaxed atmosphere and less touristy. The city area has a dilapidated feel and nothing to offer visitors or vacationers in terms of interesting attractions. The only reason to come here is if there is a need like going to the bank. You can find several beaches along the peninsula and popular beaches include Victory Beach, Ochheuteal Beach and Serendipity Beach. But the best is found at Otres Beach, stretching for 4 km (2.5 miles). There are plenty of accommodation along the beach area ranging from budget-priced guesthouses to luxury hotels. Those directly facing the beach are the most popular and early booking is advisable. 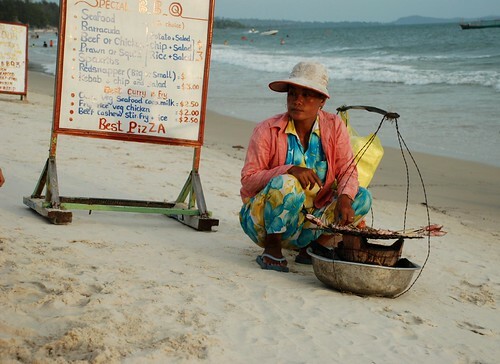 There are plenty of food vendors, stalls and restaurants located along the beach. There is also a diverse range of cuisine from local snacks to Western menus but seafood is a specialty here.